Spending the holidays in a hospital is not easy, but it helps when Associates spread good cheer with a special ornament. Each year on Christmas Day, patients who stay at any CHRISTUS Spohn Hospital, receive a decorated ornament on their breakfast tray. 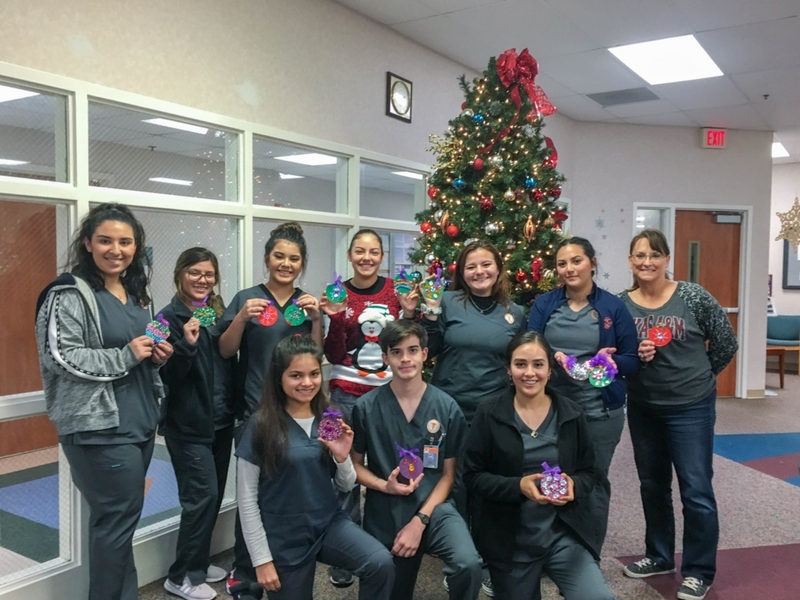 During the second week of December, CHRISTUS Spohn Volunteers set up a table outside the cafeteria of each CHRISTUS Spohn campus with gems, glue and pre-painted ornaments. Associates and families of patients stop by during their free time to decorate an ornament. This year we had some special guests come by our campuses to help spread some Christmas cheer by decorating their own ornaments. 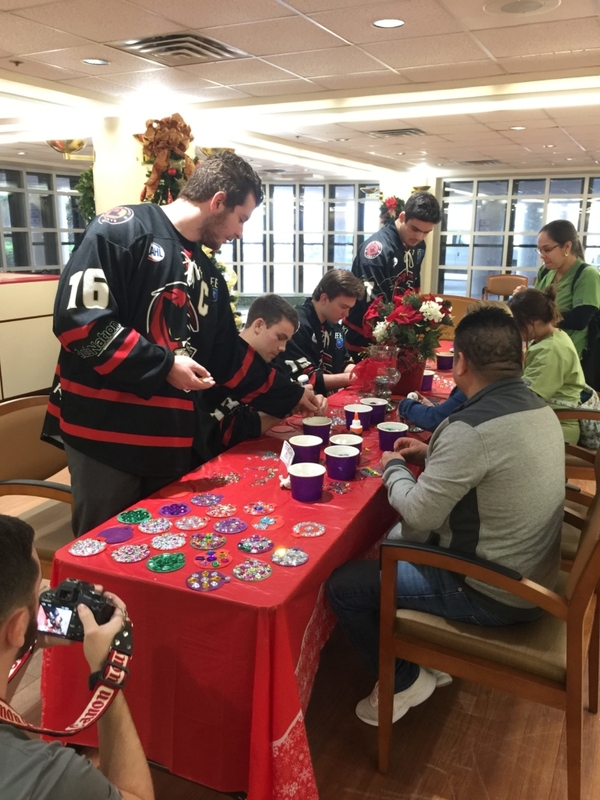 The Corpus Christi IceRays swung by CHRISTUS Spohn Hospital Corpus Christi – Shoreline to visit patients and decorate ornaments alongside CHRISTUS Spohn Volunteers and Associates. “You could tell the teammates were just having a blast! They even had a little competition to see who the best decorator was,” said Julie Zuniga, Volunteer Coordinator. “Years ago, we started this project as an opportunity for our Associates to take part in giving back to our patients with some crafting fun. We now have patients’ families and visitors stopping by to help with our decorating. It’s a great stress reliever, and they enjoy their visits with the volunteers,” said Marissa Carrillo. “When the ornaments are placed on the meal trays, it’s such a beautiful moment. Just knowing that the patients’ Christmas day will be a little brighter through our ornaments is what makes our Volunteers and Associates happy. Not everyone has the opportunity to spend Christmas with their family, but we make sure patients still enjoy a little of Christmas while they are here,” said Julie Zuniga. Click here to view in Spirit of Giving Newsletter.